Brass Vent For Early Vox Amps - Finally, a quality replacement brass vent! North Coast made a significant investment in custom tooling that would be capable of producing brass vents identical to those originally installed on early Vox or Marshall amps. These are not the Chinese parts sold by others. These vents are 100% US made under the strict supervision of North Coast Music. Unlike the brass vent reproductions sold by others, these vents are truly accurate to the originals. The three center ridges on the North Coast vent have the same cross section as those from Vox. The vent holes are sized and spaced precisely the same as the original part. Even the exact thickness brass was used. We are the only source for these exact reproductions of the original Vox vents. Outside brass vent dimensions: ~4 ¾" x ~9/16"
Mounting hole in cabinet needs to be: ~4 ⅜" to 4 ½" x ~⅜"
Set of Three Brass Vent For Early Vox Amps - As above, but sold in a set of three at a reduced price. Thomas/US Amplifier Vent/No Vox Logo - Exact fit replacement part for all US/Thomas amps with "thin" air vents. Can be made to fit JMI UK amplifiers with a little modification of the hole spacing in the amplifier. The two mounting pins on this vent are 1/8" diameter, spaced 5.375" from center to center. Plastic.Vent dimensions are ~5.58" long x ~.67" wide x ~.14 thick." Thomas/US Amplifier Vent/with Vox Logo - Exact fit replacement part for all US/Thomas amps with "thin" Vox logo air vents. Can be made to fit JMI UK amplifiers with a little modification of the hole spacing in the amplifier. The two mounting pins on this vent are 1/8" diameter, spaced 5.375" from center to center. Plastic. Vent dimensions are ~5.58" long x ~.67" wide x ~.14 thick." VSL Era Amplifier Vent/No logo - Exact fit plastic replacement part for VSL (1968-1977) and Rose-Morris (1979-1989) era Vox amps. Plastic. Fits in a hole in the top of the cabinet sized ~5.5" x ~1.375". Modern Genuine Vox Vent - black plastic, snap in style - This vent has twenty five vent holes and is used in the production of many recently produced Vox amplifiers. Plastic. This vent fits many of the Valvetronix models, the AC15CC1, AC15C1, AC30H2, AC-30CC (Custom Classic) models and the AC30C2. Outside dimensions: ~1.6" x ~5.6." 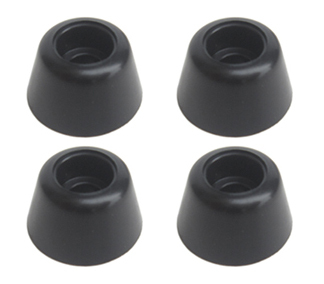 Mounting hole size: ~1.25" x ~5.25." Modern Genuine Vox Slender Vent - black plastic, snap in style - This black plastic vent has fifteen vent holes and is used in the production of many recent Vox combo amplifiers such as the VT20+, VT40+, VT15, VT30, and AD30VT. Outside dimensions: ~1.125" x ~5.6." Mounting hole size: ~0.75" x ~5.25." Modern Genuine Vox Vent - cream plastic, snap in style - This cream plastic vent has twenty-five holes and was used on the Vox AC30HW2, AC15HW1, AC30H2, AC4HW1 and AC4C1 amplifiers. Modern Genuine Vox Slender Vent - cream plastic, snap in style - This cream plastic vent has fifteen vent holes and was included on the Vox AC4TV, AC4TVH, AC4TV8 and AC4TV Mini. Expanded Aluminum Grill Kit for AC-50 Mk I "Thin Edge" Head Cabinets - Two piece kit. One piece of expanded aluminum grill 3.125" x 17.5" for the upper vent of the amplifier, a second 3.125" 16.5" for the vent on the rear panel. Not painted. Ideal for North Coast Music NCM-049 amp head cabinet. Expanded Aluminum Grill Kit for AC-50 MkIII or Mk IV "Tall Box" Head Cabinets - One piece of expanded aluminum grill 3.125" x 18" for the top of the amplifier. Not painted. Ideal for North Coast Music NCM-050 AC-50 "Tall Box" amp head cabinet. 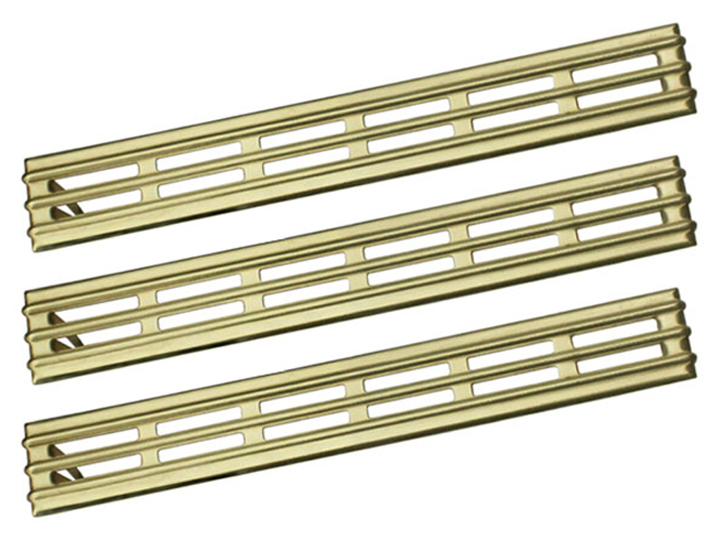 Expanded Aluminum Grill Kit for AC-100 MkI and Mk II Head Cabinets - Three piece kit. One piece of expanded aluminum grill 3.125" x 17.5" for the top of the amplifier. Two pieces 6.25" x 9" for the bottom of the cabinet. Not painted. Ideal for either the North Coast Music NCM-051 "Thin Edge" or the NCM-050 AC-100 "Tall Box" head cabinets. 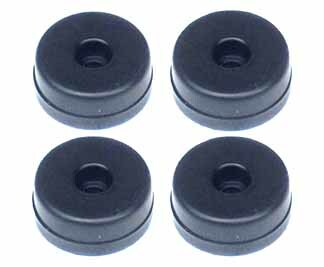 Set of four large feet as used on JMI amplifiers such as the AC-30, AC-50, etc. Limited supply, this part has been discontinued by the original UK manufacturer Rean. Diameter: ~1.5," height: ~0.5." Screws not included. 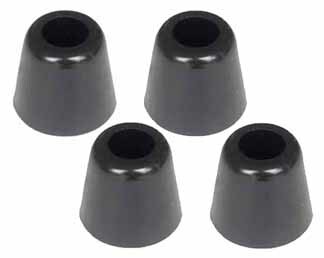 Set of four one inch tall feet as used on Thomas Vox amplifier heads such as the Super Beatle. The added height of this foot secures an amp head to a trolley. Diameter: ~1.125," height: ~1.0." Screws not included. Set of four short feet similar to those used on Thomas amplifiers such as the Cambridge Reverb and Berkeley. Diameter: ~ 0.75," height: ~0.5." Screws not included.